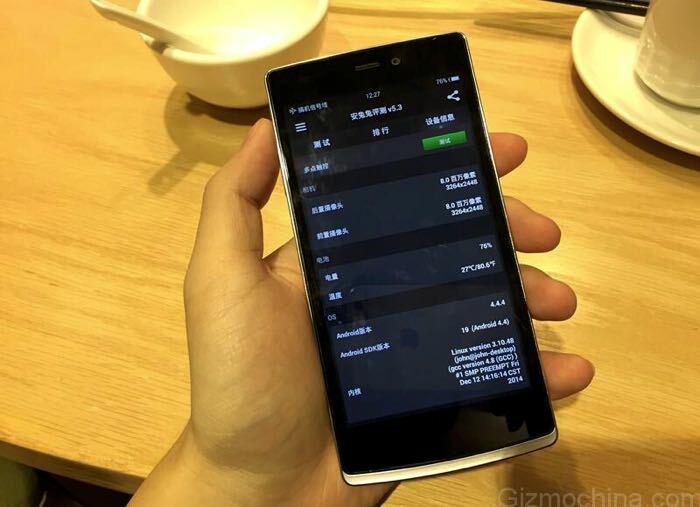 Is This The OnePlus One Mini? OnePlus are said to be working on a number of new devices, which will include the OnePlus Two and the OnePlus One Mini, and now it would appear that the OnePlus One Mini may have been leaked. The photo above is apparently of the OnePlus One Mini, the handset is said to come with a 5 inch display and will apparently be powered by a 64-bit quad core Qualcomm Snapdragon 615 processor. The OnePlus One Mini will also apparently come with an 8 megapixel front facing camera and an 8 megapixel rear facing camera, the device will also feature Android 4.4.4 KitKat. So far those are the only rumored specifications we have on the new One Plus One Mini, the handset may retail for around $250, which could make the device popular. As soon as we get some more details on the new One Mini and also the replacement for the OnePlus One, the OnePlus Two, we will let you guys know.